Home Website Maintenance Help! My Email is Hacked!! Can't login to your email account? Are you getting undeliverable and bounce messages for email you never sent? Are friends and clients complaining of receiving emails you never sent? Yes? You could have become the victim of a hacker!! 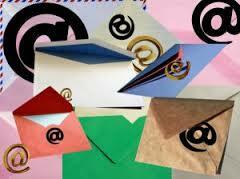 Large numbers of people get hundreds of unwanted and unsubscribed mails in their email ids every day. And surprisingly these mails originate from your own corporate email id, as if you have sent it. Chances are that hundreds of emails would have gone from your email id to unknown email address too. Spamming on a shared environment can be very painful because it can affect many innocent users. Therefore it is the responsibility of the service provider to take measures to prevent spam from originating on their network. 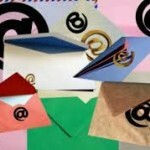 How do legitimate email ids get hacked? There is nothing like emails getting hacked. Somebody (a hacker) has got your email password and has used this to access your email id as a legitimate user for illegal activities. There are various methodologies a hacker uses to get your password. But that is not the point. The point is how can we protect our passwords from the hackers. First, never give your password to anyone for any reason. Never write your password down. If you absolutely trust someone to access your account for whatever reason, you may want to change your password to a temporary password which that person can borrow, and then change it back when they're finished. That way, you don't have to worry about that person inadvertently writing down your password, either. Phishing scams are increasingly common. A phish attempt is when you receive an email or a link to a Web site that asks you for sensitive information, but the information is not sent to the alleged sender. Some of them ask for an email address and its associated password. No matter who appears to have sent the email, even the email provider itself, you should not send your password or any personal information to such requests. Make sure your password isn't guessable. Avoid using your name or the names of family members or pets. Avoid using birthdays or other easy-to-guess numbers. If you do use familiar words, try to modify them with numbers (for example, a 1 instead of an 'i'). If you ever suspect that your email was breached, change your password right away. Contact your Service Provider and let them know what's happening. Give them one example of the spam, and explain that you are being spammed and that you're not responsible for the mail in any way. You don't want it. This is better to be done pro-actively to ensure some over-zealous ISP doesn't take down your site after receiving spam complaints and making the false assumption that you must be up to something nefarious. Also ask your Service provider to check if your domain is blocked. If it is, ask them remove that block too. For the long term: authenticate your mail using SPF. SPF and Sender ID records are a simple bit of text added to your domain name service record, and don't usually require any sort of additional infrastructure on your part. Remember: Hackers are always on the prowl to crack passwords. It is your duty to protect your passwords. Change your passwords frequently at least once in three months. This way it would be difficult to hack your password.